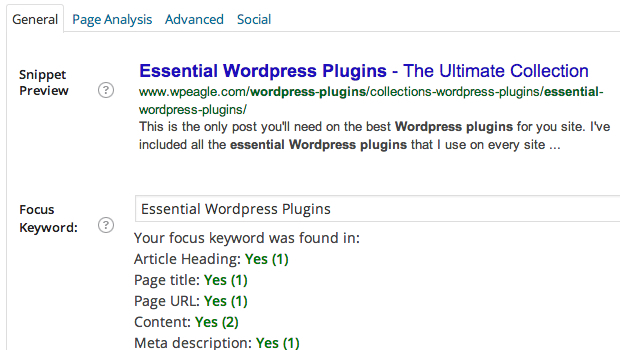 This is the only post you’ll ever need on the best WordPress plugins for your site. I’ve included all the essential WordPress plugins that I use all the time when developing my own sites and on websites for customers. I’ve only included super useful ones and tried not to duplicate any functionality. Remember, WordPress runs faster with less plugins so don’t get too excited and install every single one of these (you might be tempted when you see them!). WordPress plugins can only be installed on a self hosted wordpress.org site, so if you’re running on wordpress.com you’ll need to switch. I’ve created a couple of videos on how to setup your own self-hosted WordPress site so be sure to check them out if you don’t have a site up yet. If you need help with installing a WordPress plugin check out this video. Are we missing a plugin that you simply can’t live without? Let us know in the comments! 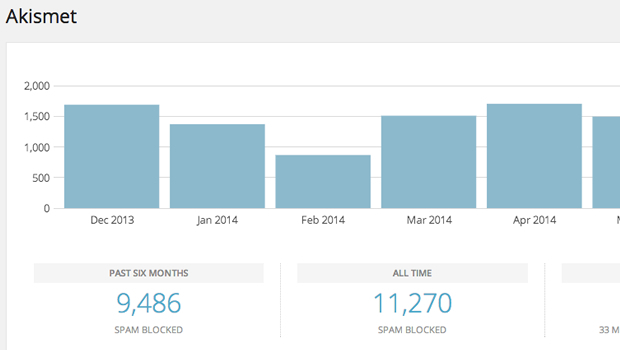 WordPress comment spam is a serious waste of time and energy. It seems as soon as you get your new WordPress site online you start getting stupid comments about how you’re “a great blogger, and should keep it up” or “nice article, i found it informative”. It’s all spam posted by automated bots trying to get a free link from your site. Akismet takes care of it all for you! No more SPAM! I once said that this plugin was the most useful plugin in the world! Maybe I was over exaggerating a little, but it’s the one plugin that I have installed on EVERY WordPress site i’ve ever created and once you’ve used it, you won’t look back. For clients and Admins alike it’s often much easier to create a page or a post by making a copy of an existing one. SEO is an essential part of marketing your website online. As I explain in one of my recent vlogs on SEO you need to make sure that your content is clearly visible to search engines and structured well so that Google crawls it correctly. WordPress SEO by Yoast is the only SEO plugin I use as it covers everything you need including Page titles, XML Sitemaps, and 301 Redirection. There is also a great guide on Yoast over at Whiskyneat.com. 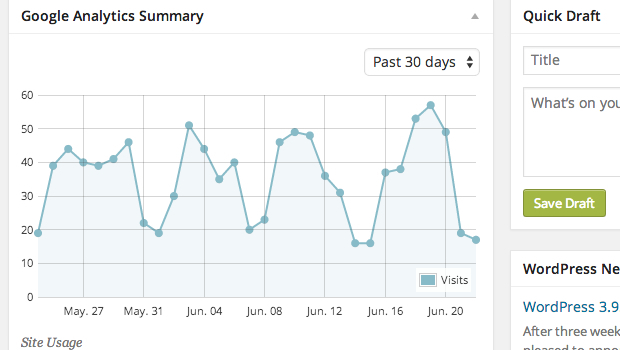 I always install Google Analytics as for the price (its free), you can’t beat it. By using Analytics you can see exactly how well your website is performing and what your visitors are doing when they get to your website. 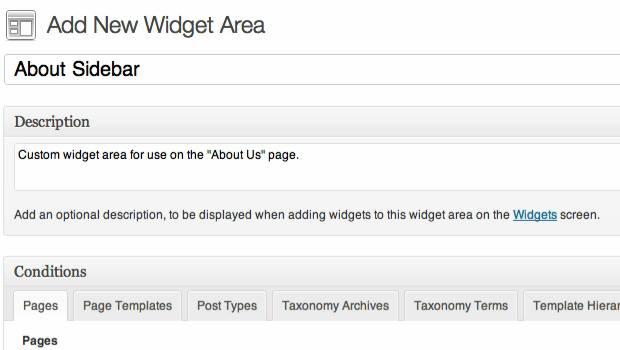 This plugin installs all the tracking codes and adds a widget to the WordPress dashboard for you so you don’t have to mess around changing your Theme files. I’ve made some tutorials on how to setup Google Analytics using this plugin along with this very useful video on configuring Google Analytics goals in WordPress. Every website needs a form right? They are the best way to encourage visitors to take action and get in touch with you. 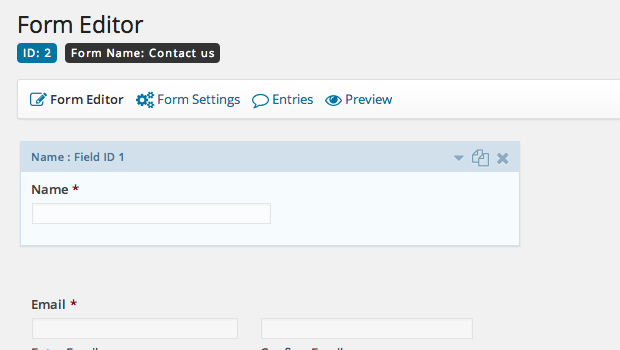 Gravity forms is by far the best form plugin for WordPress as it includes so many great features. It’s easy to setup too. My favourite thing about this plugin is that it keeps all the form entires in the backend so if you ever lose the email notification you can easily find the info again. 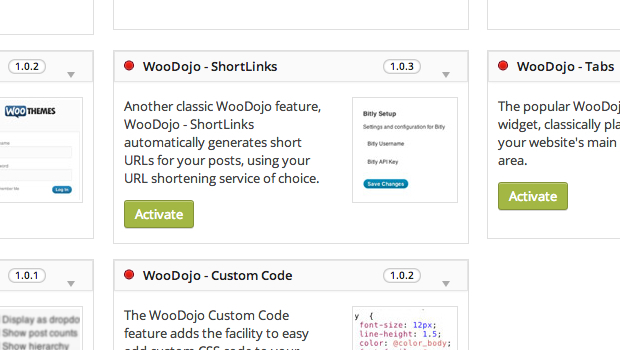 WooDojo is a whole suite of free plugins that add some really cool features to your site like tabs, shortlinks and login screen branding. I find the maintenance mode component particularly useful when building new websites as it includes launchpad, a countdown screen with social media links that’s displayed to logged out users. When making new WordPress sites it’s often a good idea to create the site in a test location so you can test out ideas and iron out any bugs before making the site live. Duplicator makes moving a WordPress site as easy as pie by doing all the hard work for you. To make it even easier i’ve also made a video tutorial on how to do it. Inserting a table into a WordPress post or page can be tricky if you don’t know much HTML and CSS. 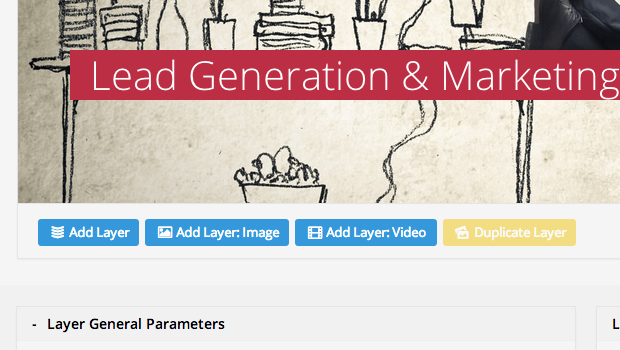 This plugin makes it easy to create some great looking tables for your site. It’s quite easy to use, but if you need some help i’ve made a video where show you how to insert a pricing table into a WordPress page. A slider has become a common feature in website design for a while now. This plugin is the best slider i’ve ever used. The slide editor includes a drag and drop editor making it easy to create some great looking slides and combined with a heap of great transitions it can really make your site come alive. 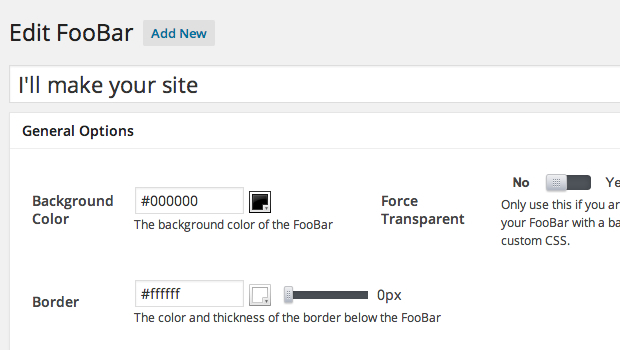 A number of premium WordPress themes come with this plugin included for free. I’ve recently switched my social sharing button from Digg Digg to Easy Social Share Buttons . I love this plugin as it has so many options, styles and features that you can use to get your sharing buttons working well with your site. You can even configure it so that it looks like Mashable! Also includes social follow counters, a bit like the ones I use in the sidebar on WPEagle. Foobar is the plugin i’m using to promote things at the top of WPEagle. It’s easy to setup and customise so that fits the style and design of your site. You can add text and links and enable a scrolling or fasting and it’s easy for visitors to close it if they want. 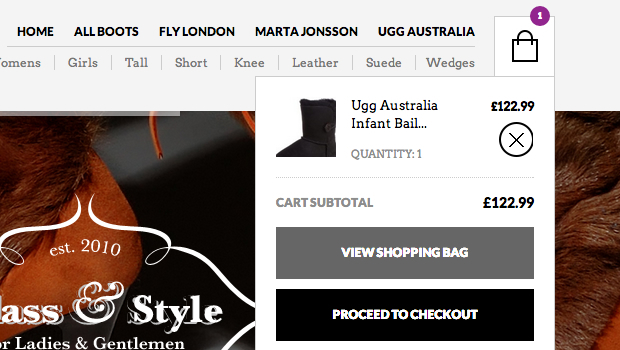 Woocommerce is one of the best shopping cart plugins you can get for WordPress. It gives you everything you need to start selling including payment gateways, products, stock control, order management and more. There are also loads of Woocommerce extensions available to add even more functionality! This plugin brings a complete calendar and diary management system to your WordPress website. You can easily create multiple calendars which can then be inserted into pages and posts. Scheduling is easy with the point and click interface. Complex schedules can also be achieved, including repeating events. 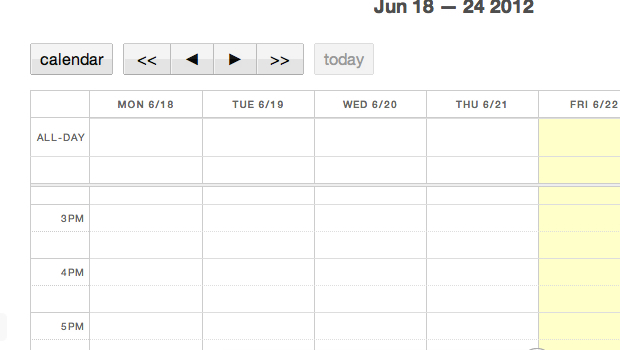 If you like, you can even let visitors to your site post to your calendars. If you’re a WordPress developer that creates sites for clients then this plugin is essential for you. 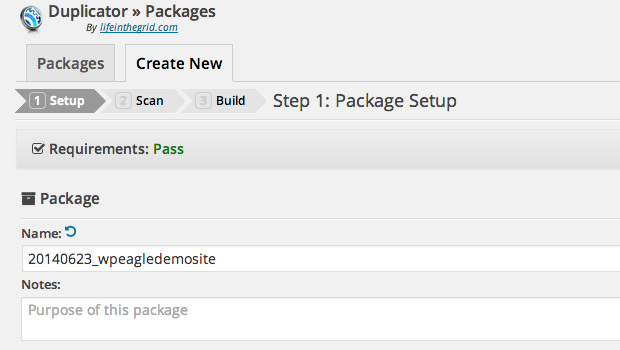 It allows you to easily customise the backend of WordPress, including the branding, menus, dashboard and login screen. Just give your clients editor access and relax safe in the knowledge they can’t break too much! The number 1 free plugin for turning your pages into printer friendly PDFs without any coding or theme hacking required. It simply adds a button (or text link) where you choose and does the rest for you. Perfect for sites that contain articles or other printable literature. Imagine if you could build pages in WordPress without shortcodes, html or any of that other “techie” stuff. Wouldn’t it be amazing if you could just drag and drop elements into place like columns, forms, widget and other elements… Well now you can! Visual Composer does all this and more. 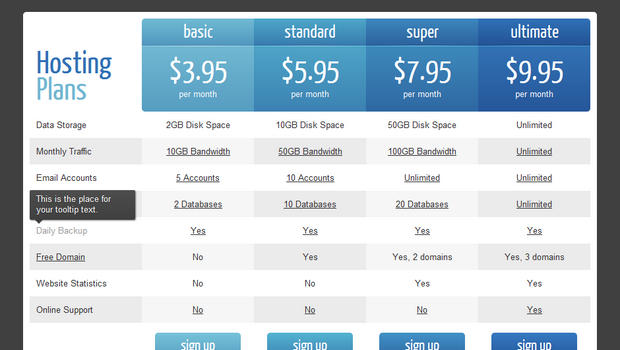 Comes bundled with some premium themes too. 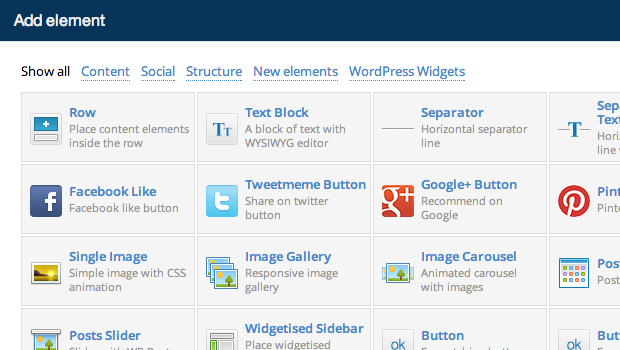 This plugins gives you a great way to display your posts in a grid easily. 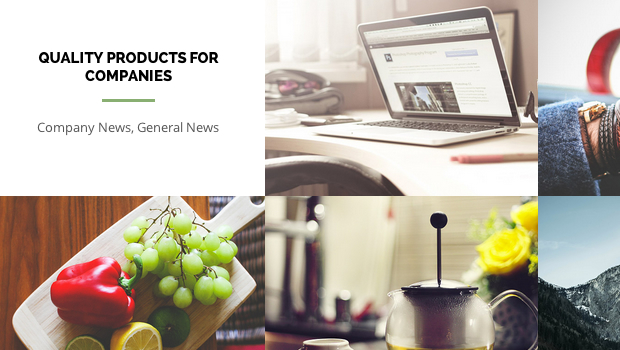 It comes with a ton of templates, is completely responsive, and can be used with Woocommerce. It’s perfect for things like portfolios, photo galleries, videos and magazine style sites. 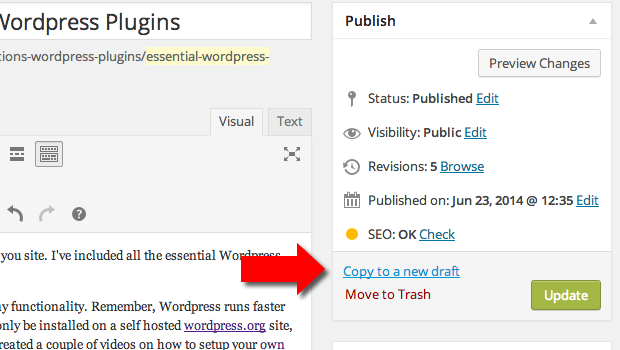 Want to add an annoying popup message to your WordPress site? Then this is the plugin for you! 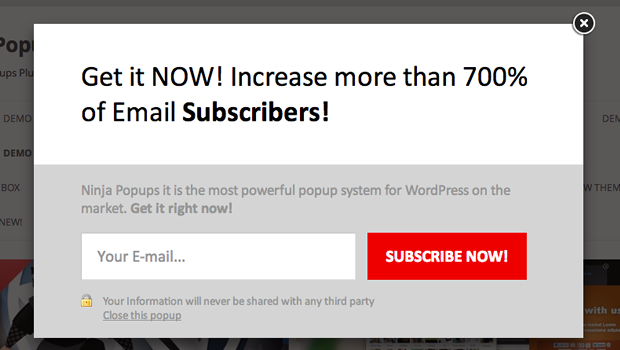 It’s suggested that these sort of popup subscribe forms increase conversions to by up to 700%. This plugin comes with loads of templates to get you started along with comprehensive options to allow you to customise them. Supports all the main email services. Would love to hear your thoughts on popups in the comments.. 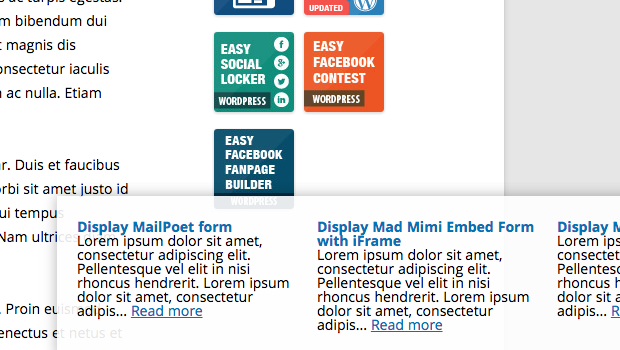 I always need different widgets for different pages when I create WordPress sites. This is the best sidebar management plugin i’ve found. It’s really simple to use however it contains some quite advanced features allowing you to pinpoint exactly where you want your new sidebars to show. If you need some help setting up some new sidebars take a look at this video. Pinterest is growing at an incredible rate. If you’ve not seen it, its a social network where users can post images and videos to a virtual pin board. If you run a WordPress website where you want people to share your content on Pinterest then adding a button should increase this. 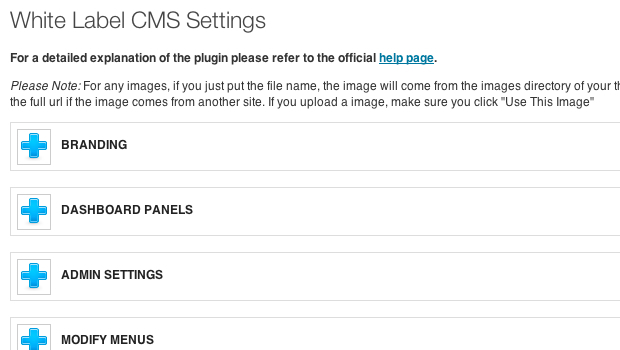 This plugin makes it easy by automatically adding the ‘pin’ button to all your images. I only recently discovered this great little plugin. You can use it to slide in messages over you website at certain points, for example when someone gets to the bottom of a post. It’s a great way to promote related content, you sign-up form or anything else you need too. Easy to setup and comes with a number of templates to get you started. 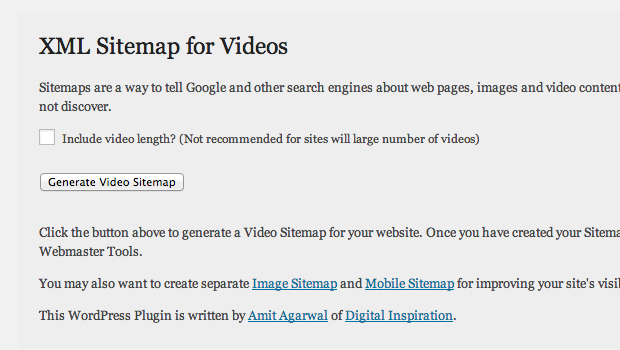 If you use video in your posts then this is an essential plugin for your SEO. By submitting a video sitemap to Google Webmaster Tools you can ensure that Google will find your videos correctly, which all being well should mean you rank better in the search results! Very easy to use, it just searches your site for Youtube embeds. 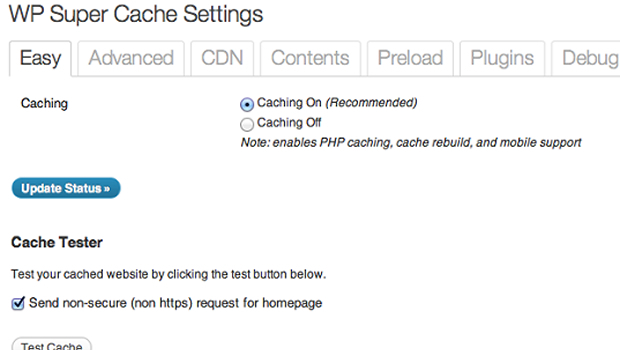 By using a caching plugin you can improve the speed of your site by serving pages to visitors as static HTML rather than dynamically generated pages using PHP. We all like fast sites and so does Google, therefore it makes sense to do everything you can to make your site as fast as possible. WP Super Cache is my preferred plugin over the popular W3 Total Cache plugin as it’s much simpler to setup and seems to improve performance by a similar amount. That concludes this list for now. Let me know your favourite plugins in the comments..